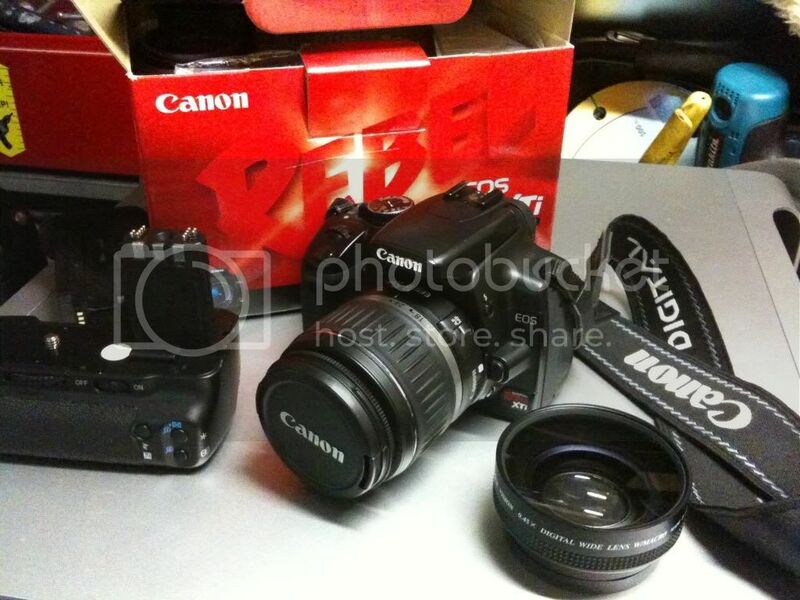 4.SOLD SOLD Canon Rebel XTi 10.1 megapixel camera with 18-55 lens kit, all complete like when bought new. + Battery Grip + Wide Angle lens add on, + 2GB Sandisk CF card...all for $450 obo shipped. Everything listed in mint condition, complete with boxes manuals and other crap. Last edited by iop9000; 07-31-2009 at 05:18 AM. xti kit+ pic and more info added. Admins please close this thread and thank you!